"Cest la soupe," says one of the best of proverbs, "qui fait le soldat. It is the soup that makes the soldier." Excellent as our troops are in the field, there cannot be a more unquestionable fact, than their immense inferiority to the French in the business of cooking. The artist Leopold Beyer was about 24 when he sketched the images and then became an engraver in Austria. I could not find who holds/owns the sketches. 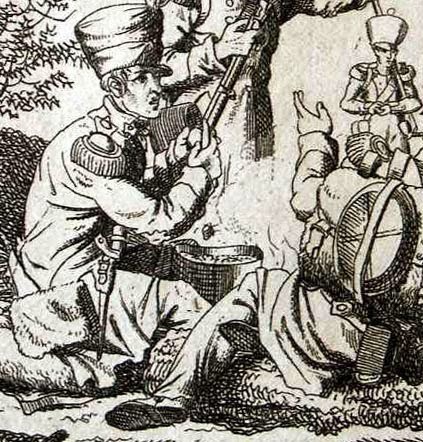 and a few Napoleonic War web sites say the sketches show the French Army in Germany.